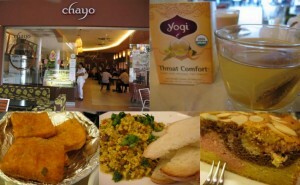 Craving for tasty vegetarian snacks, food and herbal teas? 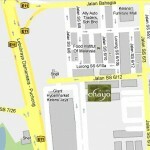 Then head on over to Chayo in Kelana Mall (Opposite Giant). Indulge in Western, Indian and Local delights in a relaxed cafe atmosphere. Open daily from 9am -9pm. Exclusive promotion for KL Yoga readers!!! Free appetizer of choice with every order of a daily set meal. Just mention ‘KL YOGA‘ upon placing your order. Offer valid till 31 December 2009.
being vegeterian helps me a lot in toning down my body fats and staying fit”~.